If you have a legal problem and you cannot afford to hire an attorney, you may be eligible for free legal services. 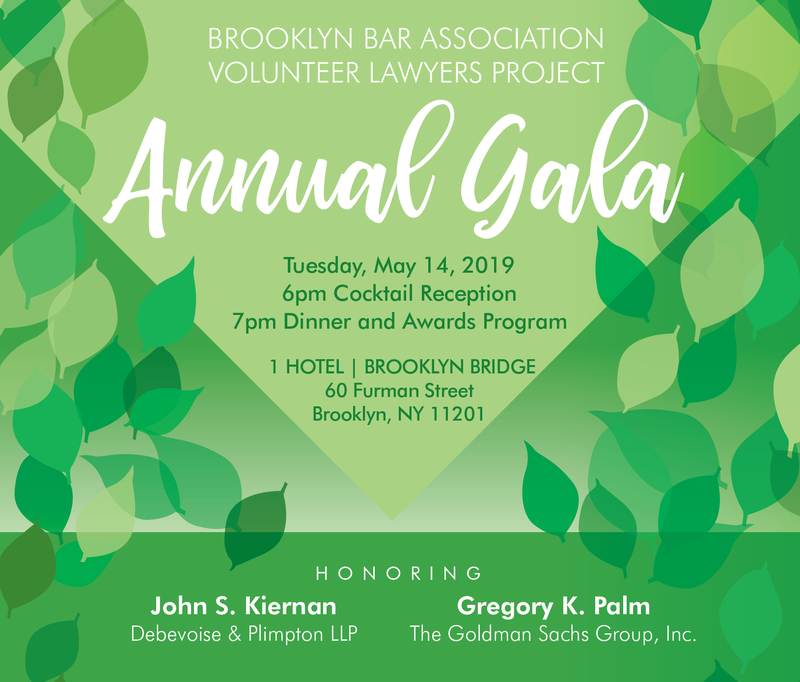 The Volunteer Lawyers Project is one of several organizations throughout New York City that assist low-income individuals with certain types of legal matters. 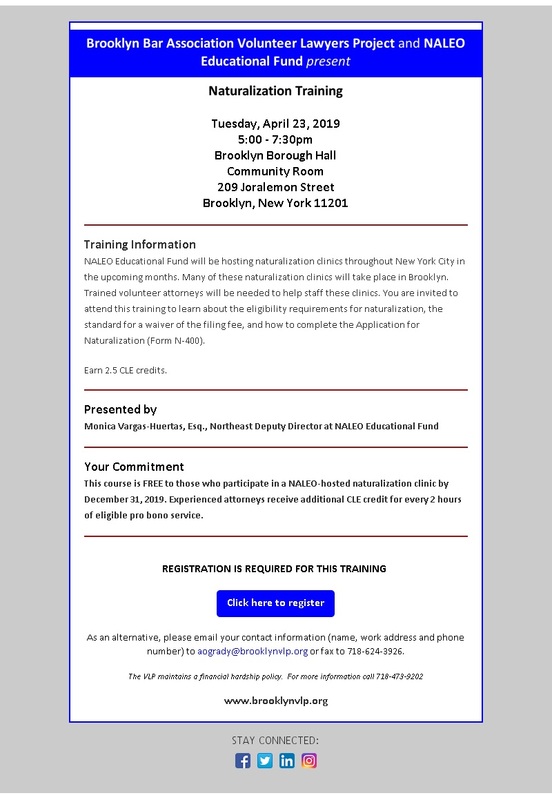 The VLP is only able to assist full-time residents of Brooklyn. The Volunteer Lawyers Project, like other legal service agencies, uses income guidelines to determine who is eligible for free help. The guidelines are based on a percentage of the federal poverty level. The VLP can assist residents of Brooklyn living at or below 200% of the federal poverty guidelines. What type of legal problem do you have? CLARO Consumer Debt Clinic: Assists people who are being sued for a debt in Kings County Civil Court, or who are being harassed or threatened by creditors. CLARO volunteer attorneys give litigants the advice and counsel they need to effectively represent themselves. Volunteer Lawyer For The Day Consumer Credit: Eligible litigants are provided with an attorney that will provide limited scope representation in Kings County Civil Court on their consumer credit case. National Grid Foundation Senior Leap Education Assistance: Volunteers make scheduled presentations at senior centers across Brooklyn to teach the elderly about the importance of advance medical directives. Following presentations, a question and answer session identifies other areas of concern to seniors. Follow-up appointments may be made with seniors who have specific legal issues and meet the VLP financial eligibility criteria. To complete the VLP’s online intake, please click here. By completing this form, you are asking us for help with a legal problem. We will review your form and decide if we can help you with your legal problem. Intake advocates are available to answer your call or meet with you in person on Tuesdays, Wednesdays and Thursdays from 10 a.m. to 4 p.m. Business hours are Monday through Friday from 9:00-5:00. Please leave a message if we are unable to get to your call. Take the 2, 3, 4 or 5 train to Borough Hall; or the R to Court Street. Both stops are within a 3-minute walk of the building. The A, C, or F train to Jay Street – Borough Hall is a ten-minute walk from the building. Please note that our client intake hours are Tuesdays, Wednesdays and Thursdays from 10am to 4pm. 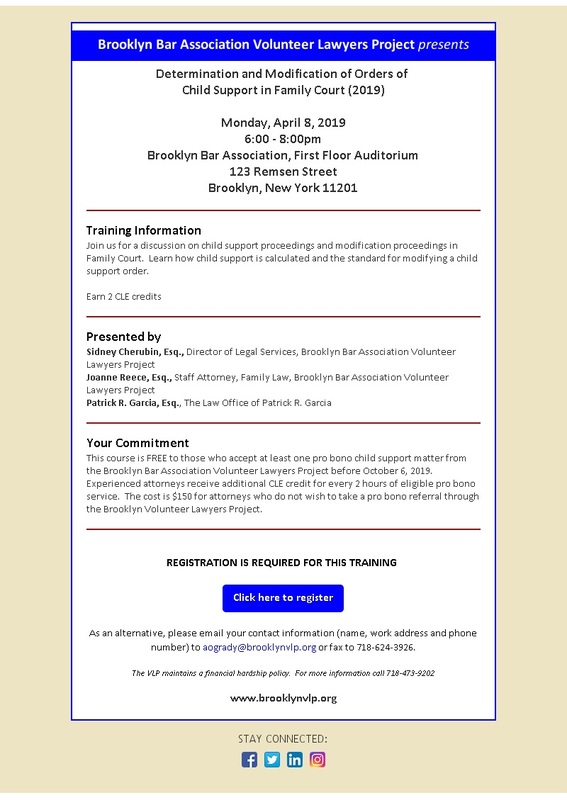 If you do not live in Brooklyn, or if you have a case that is outside of the VLP’s program areas, you may be able to find assistance through another organization or agency. Visit lawhelp.org to search for legal services in your area that help with your type of legal problem. Keep in mind that most free legal services use income guidelines similar to the ones used by the VLP. If your income does not qualify you for free legal services, you may need to speak with a private attorney. For a referral and initial consultation of $25, call the Brooklyn Bar Association Lawyers Referral Service at (718) 624-0843. Intake advocates are available to answer your call or meet with you in person on Tuesdays, Wednesdays and Thursdays from 10 a.m. to 4 p.m. Business hours are Monday through Friday from 9:00-5:00. Please leave a message at any time if we are unable to get to your call.